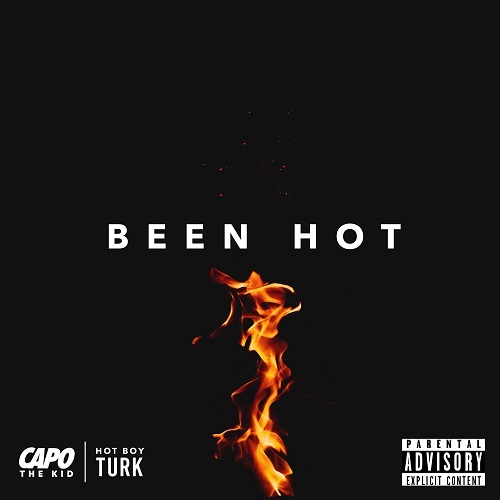 Songwriter and recording artist, Capo The Kid, is back on his grind with a blazing new single, “Been Hot,” which is available now on all digital platforms! The single was produced in collaboration with GFACTOR Ventures and features one of the original Cash Money Records Hot Boys- Turk. Some may remember Capo The Kid from his infectious YouTube freestyles and Dj Drama’s remix of his hit single “By Any Means.” He’s recently been in the studio perfecting his craft as a lyricist and is extremely focused with a shrewd entrepreneurial power team behind him. GFACTOR FILMS music video division (GFACTOR-X) directed and produced a phenomenal visual for “Been Hot.” The music video launched today in Las Vegas, right before the Manny Pacquiao VA Adrien Broner world welterweight championship fight at MGM Grand. Stay tuned, big things are on deck for CAPO THE KID!